For quite a long time I have been trying to find a way to develop some more help with essay writing for students. I think there are some fantastically good resources out there for post-graduate students, but the basics of a simple essay – not a thesis – seem to be somewhat neglected unless you count fact sheets from different Higher Education Institutions, which can feel both corporate and somewhat boring. And even then there is often little explanation of what I refer to as ‘hidden’ academic practice, the thinking processes and conventions that make an essay at degree level different to an essay at school. What was needed, I felt, was a sort of ‘painting by numbers’ approach to essay writing – simple, step by step, visual, colourful – and fun! 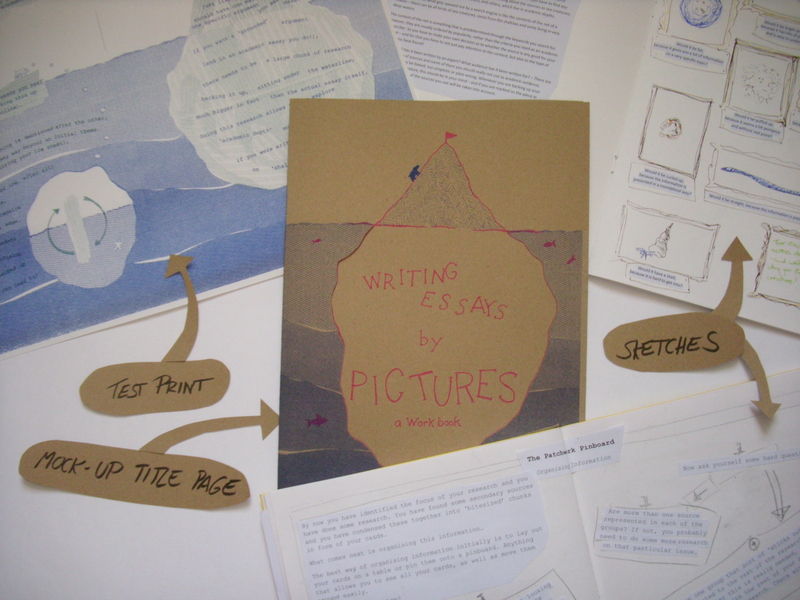 So this week I am happy to launch my ‘Writing Essays by Pictures‘ project. There are two different, but somewhat linked, resources – a blog, Writing by Pictures, which you (and your students) can find here. 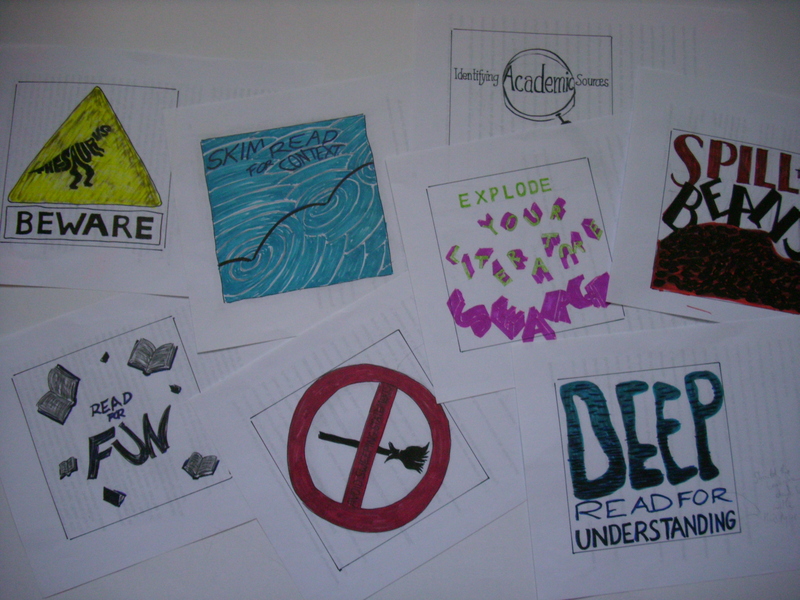 This is really an extension of the idea of the visual soundbite – last term I asked students to regularly reflect on what they had learned during our sessions and put them into a visual soundbite, and I have to admit that I was quite surprised by what they came up with. Not at all the things that I had wanted them to take away from the sessions! So I decided to make a list of all the tips and tricks that I had hoped they would pick up on and put them on this blog. the finished product. Called Writing Essays by Pictures, I have produced a draft of this workbook and shown it to some colleagues who have been very positive about it. I am now in the process of raising money on Kickstarter to print some copies to get them to students to actually test. If you want to find out more – and maybe ven support it, check out the page for the campaign here. While neither of these resources are finished yet, please do share them with people who might be interested. Over the next few months I will add more images to the blog, clean up the images that are there and also add some more content. The workbook will be finished and hopefully go to press in May/June. As I don’t want the posts on the progress of this big project to dominate this blog, I have made a new page which you can check for progress if you are interested.